It is finally the cherry blossom season in the northern part of Japan! 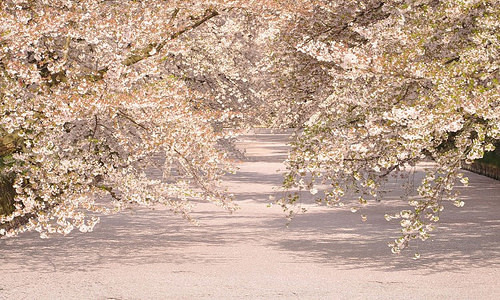 Hirosaki in Aomori is known as one of the best cherry blossom viewing places in Japan. 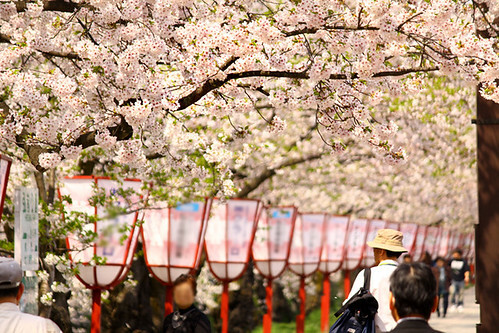 Hirosaki Cherry Blossom Festival 2015 at Hirosaki Park is held until May 6th. The secret of the voluminous cherry trees in Aomori is the number of flower buds on each branch. A unique pruning technique adopted from apple tree pruning (Aomori prefecture is famous for its apples) enables the branches to produce more flowering buds than normal ones. Plus, with more flowers (weight), they make the branches to hang down and create another beautiful view. The technique is now used in other prefectures as well but it is worthy to note that the technique was first introduced in Aomori prefecture. Even after the petals fall off, there will be another beautiful sight to be enjoyed. “Hana-Ikada,” the petals floating on the water like a carpet is another photogenic view. The pink petal filled moat around the Hirosaki castle is breathtaking. So, even if you miss the peak bloom date because of the itinerary or weather, don’t worry, there will be alternative amazing sights to enjoy. 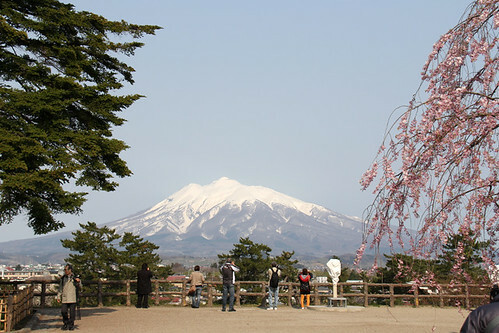 Hirosaki Cherry Blossom Festival is until May 6th. The park is open until late night. There will be food stalls in the park from 9am til 9pm, and the light up is from 6:30pm til 10pm. Hirosaki Park and Aomori prefecture have websites in English. aptinet, a website by Aomori Prefecture, Tourism and International Affairs Strategy Bureau, offers plenty of travel information of Aomori in Japanese, English, Simplified and Traditional Chinese, and Korean. Free wi-fi in Hirosaki Park is also a great service for travelers. Aomori has so much for offer to foreign visitors: rich nature, fresh seafood that make great sushi, the castle and cultural architectures to see, many hot springs, local festivals and more. Recommended destination for all seasons.